Pencildancers: Exciting! Mysteries for E-Readers! 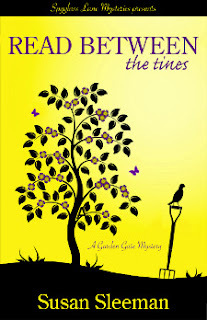 A NEW LINE OF MYSTERIES FOR YOUR E-READER Susan S leeman here. Do you have an e-reader or maybe an iPad? Then I'd like to tell you about a line of cozy mysteries that has recently released with most books retailing for only .99 for a limited time. Spyglass Lane Mysteries are published by a group of cozy mystery authors who have joined together to bring you a new cozy mystery every week. Currently, there are over 25 wonderful mysteries in this line. 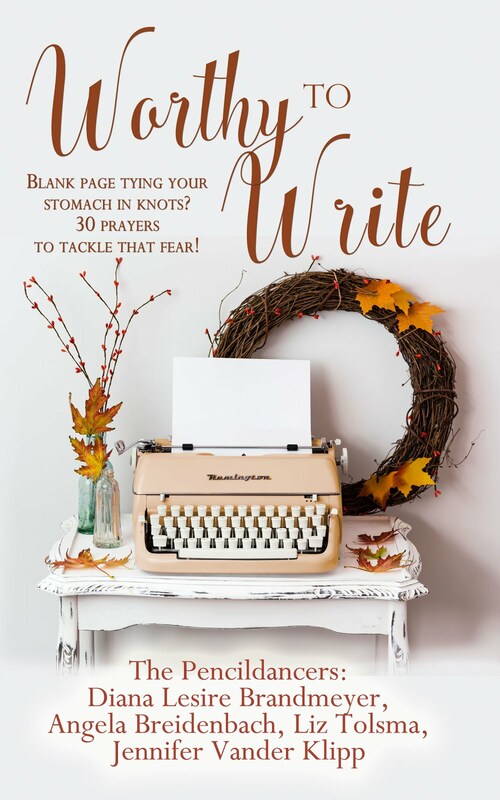 Stop by the website to view all of the available books and while you're there, be sure to sign up for our email newsletter where we announce each new book that releases and our authors share behind the scenes stories about the books. 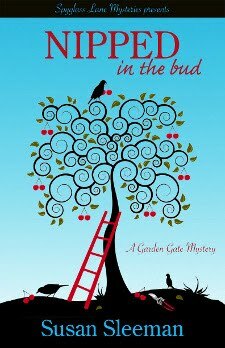 I'd also like to share a little bit about my Garden Gate Mystery Series that is releasing as part of this line. 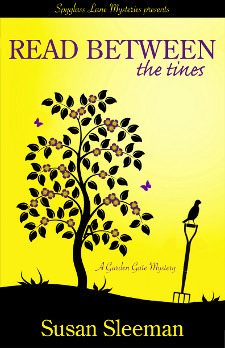 The first book, Nipped in the Bud has already released and book two, Read Between the Tines will release in February 23rd. Here's a little bit about both books. WHEN YOU FIND Y OUR BOSS PUSHING UP DAISIES. . .
Life in full bloom, landscape designer, Paige Turner, scores her first landscaping contract to spruce up the park, her radio talk show shoots to number one, and her retail shop is simply blossoming. Yes, her life is a bed of roses. Until she finds the city manager served up on the blade of her favorite shovel mere hours after she’s threatened to have his head on a platter, then the thorns come out. And there is none thornier than the local police chief declaring Paige the one and only suspect and threatening to plow her under. YOU’VE GOT TO FORMULATE A PLANT OF ATTACK . . .
Paige teams up with dashing attorney, Adam Hayes to weed through the list of suspects, and clear her soiled reputation. And along the way, discovers that Adam just may be the man of her dreams. IF YOUR LIFE IS A BED OF ROSES. . . Recovered from her near death at the hand of a killer, landscape designer Paige Turner is certain her life will soon be a bed of roses. That is, until her employee, Daisy Rose Plante, finds a dead body, and the thorny police chief looks no further than Daisy for a suspect. Paige digs in and weeds through the list of potential killers, and before long, her sweet smelling rose of a life is soundly trampled. YOU’LL HAVE TO SURVIVE THE THORNS. . .
Paige would be much happier working over-thyme on her budding relationship with handsome attorney, Adam Hayes, but it soon becomes clear she’ll be in a hoe lot of trouble with him if she continues digging for the killer. Does Paige risk all and try to unearth the killer? Or does she settle down in peaceful bliss with the man of her dreams? 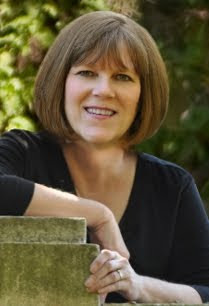 SUSAN SLEEMAN is a best-selling author of inspirational romantic suspense and mystery novels. She grew up in a small Wisconsin town where she spent her summers reading Nancy Drew and developing a love of mystery and suspense books. Today, she channels this enthusiasm into writing romantic suspense and mystery novels and hosting the popular internet website TheSuspenseZone.com. 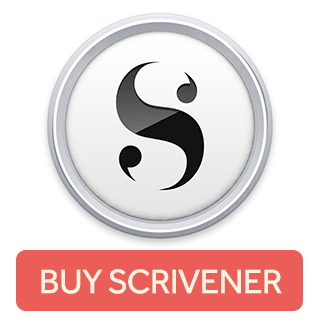 Happy to let readers know they can get great books at a good price. Bought my book for today! Thanks for the hook-up. Awesome. It's nice to have a place to go for good books that don't break the budget.